According to the World Health Organization (WHO), mental health is “a state of well-being in which the individual realizes his or her own abilities, can cope with the normal stresses of life, can work productively and fruitfully, and is able to make a contribution to his or her community”. Mental health is a psychological state of well-being, characterized by continuing personal growth, a sense of purpose in life, self-acceptance, and positive relations with others. Mental health is a relative state of mind in which a person is able to cope with and adjust to the recurrent stresses of everyday living in an acceptable way. 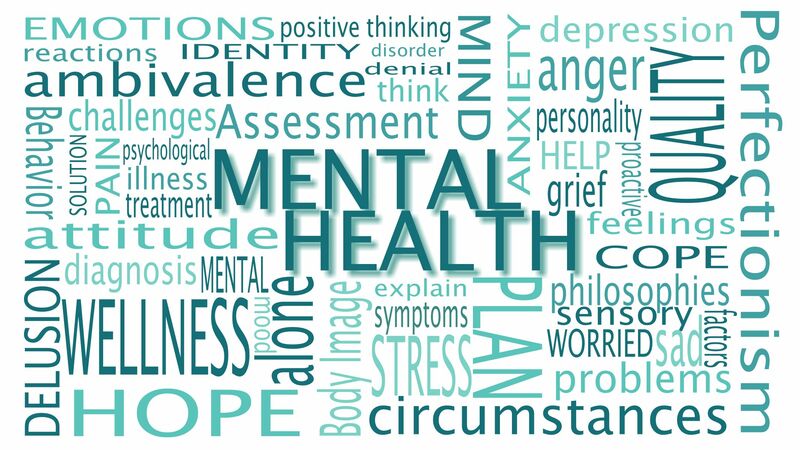 Mental health is a state of psychological and emotional well-being that enables an individual to work, love, relate to others effectively, and resolve conflicts. Some people define mental health as the absence of mental illness, but many psychologists consider this definition too narrow. Mental health can also refer to a field of study encompassing both mental health and mental illness. Some psychologists regard mental health as the ability to maintain a balance between positive and negative emotions, such as elation and sadness. In this view, a person who displays emotional extremes in either direction is less well-adjusted. Other psychologists emphasize the role of one’s environment in influencing well-being. This perspective sees mental health reflected in a person’s overall happiness with various domains of life, such as social relationships, family, work, leisure, health and community life. 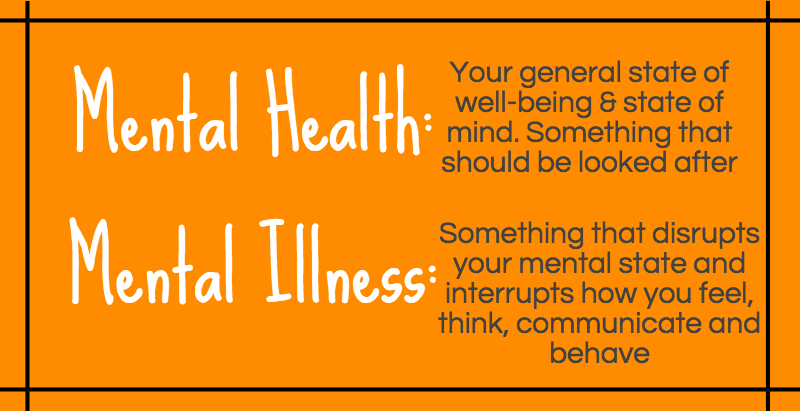 A number of different aspects of life can influence mental health. In a mid-1970s study of people living in the United States, researchers identified critical areas that influence one’s mental health. These areas are working life, family life, and the social role that one occupies in the community. Negative experiences in these areas, such as an unreasonable boss or a turbulent family life, can reduce one’s overall sense of well-being and happiness. Apart from these basic factors, today good health is also considered a vital element for happiness and better mental health. Stress influences both mental health as well as physical health. People who experience a high level of stress for a long time (called chronic stress) — and who cope poorly with this stress—may become irritable, socially withdrawn, and emotionally unstable. They may also have difficulty concentrating and solving problems. Some people under intense and prolonged stress may start to suffer from extreme anxiety, depression, or other severe emotional or psychological problems. Anxiety disorders caused by stress may include generalized anxiety disorder, phobias, panic disorder, and obsessive-compulsive disorder. People who survive catastrophes sometimes develop an anxiety disorder called post-traumatic stress disorder (PTSD). They re-experience the traumatic event again and again in dreams and in disturbing memories or flashbacks during the day. They often seem emotionally numb and may be easily startled or angered. People may also experience chronic stress when confronted with a continuing set of demands that reduce their ability to function. Examples of such demands include working long hours under difficult circumstances and caring for a chronically ill relative. Economic hardship, unemployment, and poverty can also produce chronic stress and undermine mental health. Some studies suggest that genetic factors or genetics may partly determine one’s level of happiness and mental health. People seem to display a characteristic level of well-being, with some people usually feeling happy and others typically feeling sad or unhappy. Researchers have found that although people’s moods change in response to both positive and negative events, the effect wears off over time. For example, people who win the lottery or receive an unexpected promotion may feel happier at first, but over time they return to their former characteristic level of mental health. Research suggests that one’s genetic background—that is, the genes inherited from one’s parents—explains more than half of the differences in people’s characteristic mood levels. Genes may also partly determine the range of ups and downs that people feel, including whether people have large mood swings or remain stable from day to day. The ability to cope with adversity can be crucial for the mental health of the individual. Coping means successfully dealing with problems that arise in life. People differ substantially in the way they cope with adversity. Some people engage in emotion-focused coping, a strategy that focuses on managing one’s emotions. Examples of this coping strategy include distracting one’s attention from the problem, denying the problem, venting one’s emotions, or sharing emotions with others. A second form of coping, problem-focused coping, involves efforts to reduce stress by solving the problem. People who use this strategy take active steps to overcome the problem, such as seeing a counselor or a psychotherapist to repair a relationship or looking for a new job in response to problems at work. They may also seek advice from friends and family members. As such, achieving mental health is about striking a balance in the social, physical, spiritual, economic and mental aspects of our lives. Reaching a balance is a learning process and it is ongoing. At times, we may tip the balance too much in one direction and have to find our footing again. Our personal balance is highly individual, and our challenge is to stay mentally healthy by finding and keeping that balance.